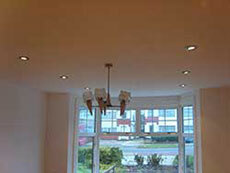 We carry out testing and inspecting on a regular basis for landlords, estate managers, house purchases etc. An up-to-date EICR is an Electrical Requirement and is increasingly demanded by letting agents and the insurers of places used by the general public. 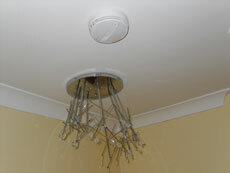 I first used Facelift Electrical Services to carry out a Periodic Inspection on the state of the electrics in the property I was considering purchasing. The report was very in depth providing me with an understanding of what remedial work would be required to meet current regulation standards and the cost involved, which is very important when making such a major decision. The engineer was very helpful and satisfactorily answered my queries relating to the report. After purchasing my new home, I contacted the Company to carry out the repairs. The service was excellent, from the initial interaction to arranging the work schedule, the quality of the work, the professionalism of the engineers and the reasonable cost. 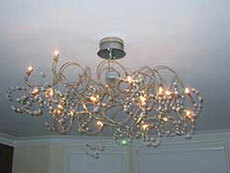 I would not hesitate to recommend Facelift Electrical Services. 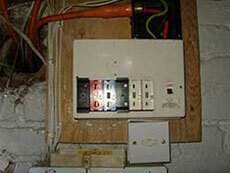 One of the major changes to the Wiring Regulations in July 2008 concerned the fuseboards/consumer units in domestic premises, ie houses and flats. 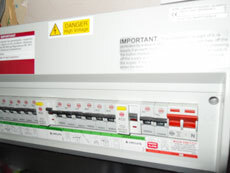 Most circuits are now required to be RCD protected and a new type of Consumer unit has become popular for use in domestic properties. 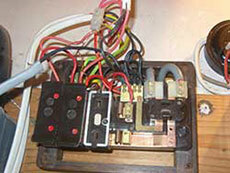 The new IEE Wiring Regulations is known as the 17th Edition. All sockets up to 20A for general use by ordinary persons, eg general house sockets, garage sockets and cookers with a socket outlet . 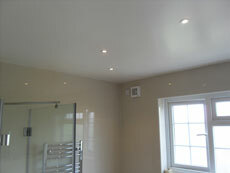 All circuits in a bathroom eg lights, shaverpoint, electric showers. 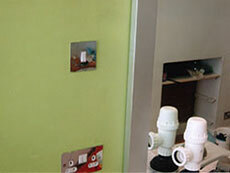 All circuits buried in a wall at less than 50mm and without mechanical protection. eg most cables in a normal home. It is no longer permitted to have a single 30mA RCD protecting all the circuits so usually the use of two or more RCDs is required. 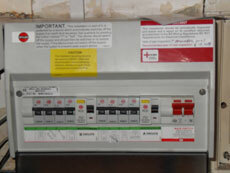 These consumer units/fuseboards do not meet current British Standards. 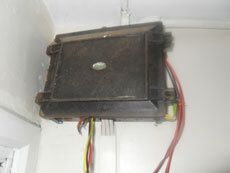 This can be due to visible damage eg, broken fuse carriers, no Residual Current Device (RCD) protection, no capacity for additional circuits (requires more circuit ways), or the consumer unit has a wooden back which can be a fire hazard or cable joints which are not terminated properly and are live and exposed. 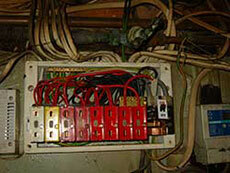 This can be a major factor in causing an electrical fire. 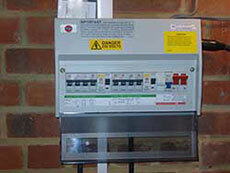 Examples of consumer units which DO meet British Standards. These consumer units are protected by an RCD (Residual Current Device) which will give you better protection to accommodate the upgrade along with the necessary MCBs (miniature circuit breakers) to suit. This gives better overload and short circuit protection for the final circuits, as well as the capability of disconnecting a faulty circuit at a faster tripping time. Part P compliance - What does it mean? Part P of the Building Regulations came into force in January 2005 to ensure that all electrical work carried out within a dwelling - a home or garden - is carried out by a qualified registered electrician and your local authority Building Controls department is notified of this work. This notification is particularly important when moving house because the compliance certificate is required by the buyer's solicitor to show that any electrical work carried out at the house on behalf of the vendor or seller is safe. In other words, failure to comply could have an effect on the future sale of the home and the onus is on the home owner to ensure the work has been notified. 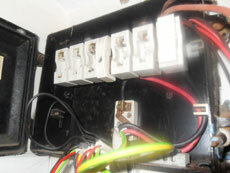 However, whether you are looking to move home or not, it is important to employ a qualified registered electrician. 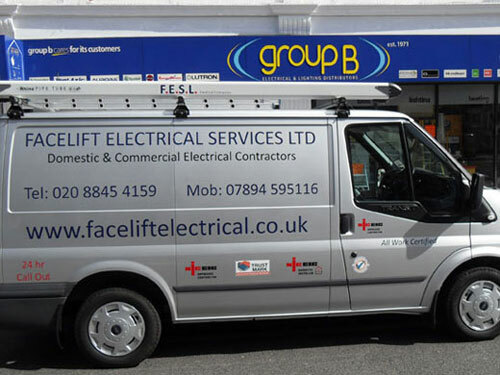 I would like to take this opportunity to thank Facelift Electrical for their top 1 service. They attended my property to install a new fuseboard. They detected many problems with the house and presented ways that they could be rectified. 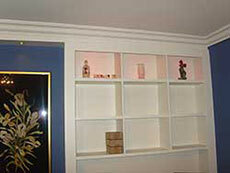 The team worked in a very professional manner and go the “extra mile”. Thank you so much for your high standard of work and all the advice and explanations you gave along the way. “My wife and I would like to take this opportunity to inform you how pleased we are with the HIGH standard of work carried out today by Facelift Electrical Services engineers. 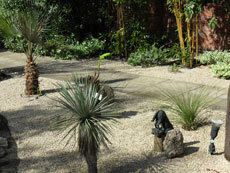 The work was carried out in a very professional manner, with great attention to detail. The engineers were a credit to your company, and I will of course inform my peers who to contact if they need the services that your company provide”. 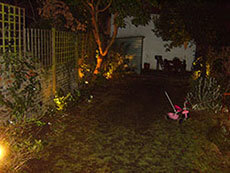 We were very impressed with the speed and efficiency with which Facelift installed our new fuseboard and garden lighting. The testing process was extremely thorough and they explained everything to us in detail. They even cleaned up after themselves! I have already passed their business card on to someone so will certainly recommend them again. We are able to advise and design the appropriate lighting design for your home or office, ie spotlights (downlights), chandeliers, wall lights etc. 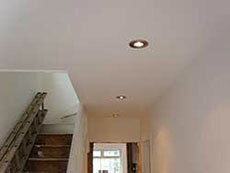 As well as carrying out emergency lighting for escape routes, ie communal lighting for public stairways etc. 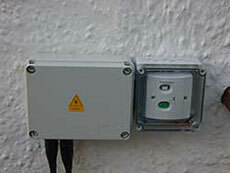 The other is operated by mains supply, ie 240v and does not require a transformer. 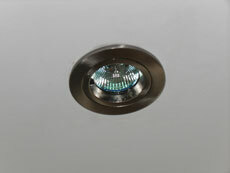 Downlights come in different decorative finishes, such as brass, chrome, white and are supplied as to clients’ specification. 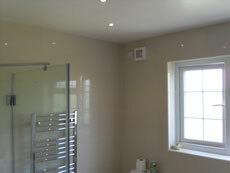 Thank you for the work recently completed on our en-suite bathroom/bedroom. From the first enquiry that we made from the Trust-a-Trader website, your company has been helpful, efficient and at an affordable price. 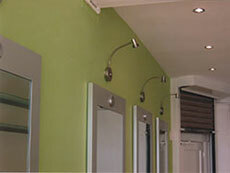 We will happily recommend Facelift Electrical for a fast, efficient and friendly service. Thank you for the wonderful work you did in my house. Everything was done to perfection, even the clean up job afterwards. I would definitely use your company again and will recommend you to my friends. 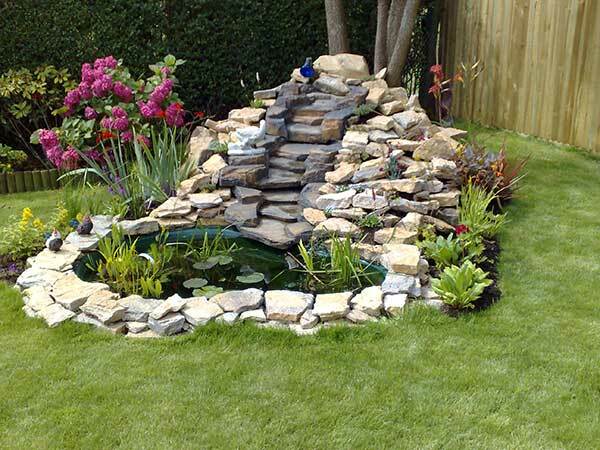 Investing in your garden can add value to your property. More and more of us are using our gardens as extensions to our homes and our gardens are being viewed as “outside rooms”. 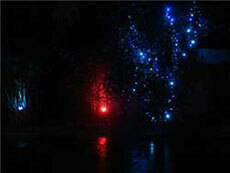 Facelift Electrical can install state of the art garden lighting systems. 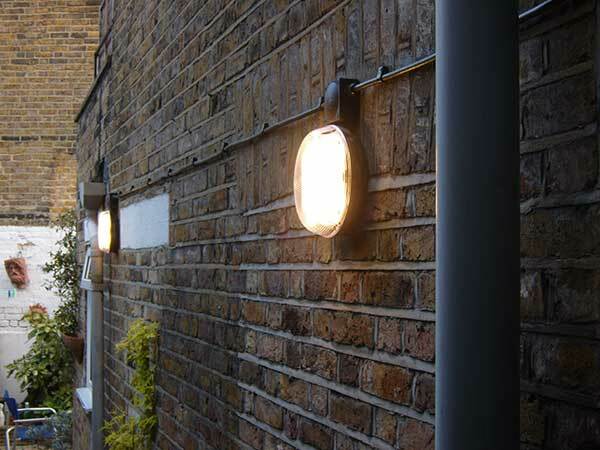 We consult with our clients with regard to the design and specification, ie light fittings, spotlights, floodlights etc to offer the best possible solutions to bring your ideas to life. 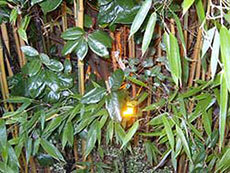 We also install garden lighting which works from a remote system (key fob) giving the facility to program your garden lighting to switch on independently in different arrears of the garden. 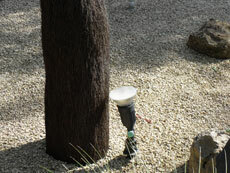 This works from a hand held 4 channel remote control unit and gives you the facility to highlight individual specimen plants, trees or areas of particular focus within your garden and you can also switch on lighting within a pond. 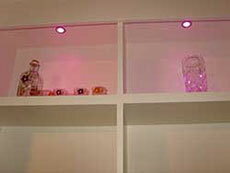 You can also have a choice of white or coloured lighting. 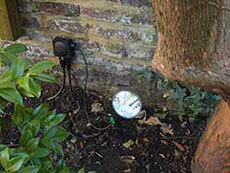 Our garden lighting installations are protected by an RCD (Residual Current Device) unit which gives you additional circuit protection. We ONLY supply weatherproof fittings. 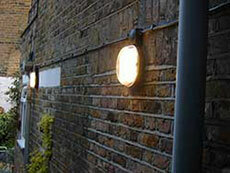 Call Facelift Electrical Services for garden lighting in London, Middlesex, Berkshire and surrounding areas. 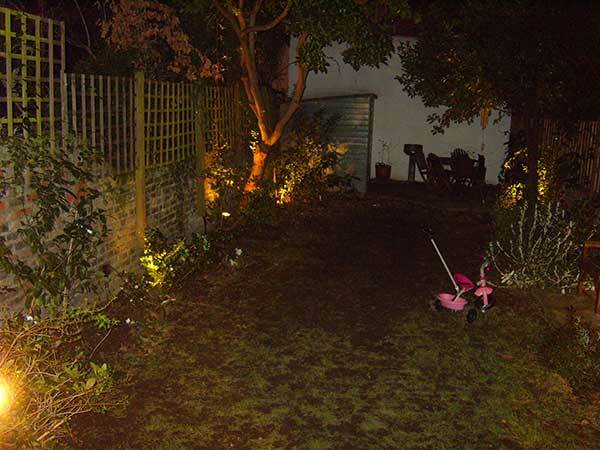 I am writing to compliment the excellent work carried out with the garden lighting at my residence. The entire project was carried out with great attention to detail, with regular progress updates and in consultation with me to ensure the location of the lights and fittings met with my requirements. 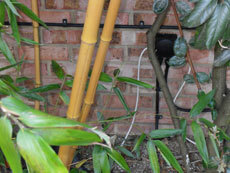 I appreciate the extra effort that was put in to ensure all the cables were well hidden; even going as far as taking the decking apart to hide the cables so as not to ruin the aesthetics of the garden. Great work, terrific result, I will be delighted to use your services in the future. 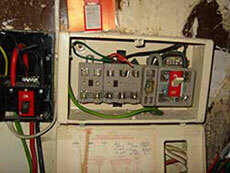 I would like to recommend Facelift Electrical Services. They have installed armoured cable from our main fuse board to the shed at the bottom of our garden, and fitted the shed out with electric sockets and electric lighting in a very professional manner. 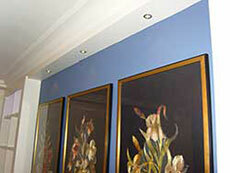 When they carried out the installation, they worked hard to get the job done quickly, carefully and professionally. I would have no hesitation in recommending them. Facelift Electrical Services installs intercom door entry systems with built in cameras, giving the facility to see visitors at the main door before allowing access via internal handsets. 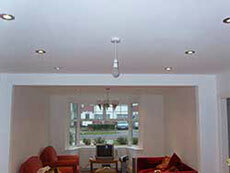 This can be from a single dwelling to multiple flats. 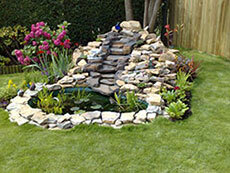 We also give you a 1st year free service and carry out a service plan. Facelift Electrical Services carries out complete rewires to domestic and commercial properties, as well as partial rewiring to certain parts of an electrical installation that does not meet current regulations. 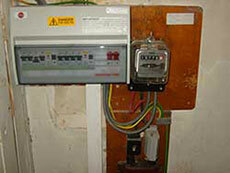 All our installation work is carried out to the latest British Standards, IEE Wiring Regulations BS7671:2008. (Refer to Section FUSEBOARDS/CONSUMER UNITS), this will help to give you more information on the current Electrical Regulations). Whilst carrying out your free quotation we are able to advise you on different lighting systems as well as giving information on additional protection to your home, such as mains operated smoke detectors and carbon monoxide detectors. 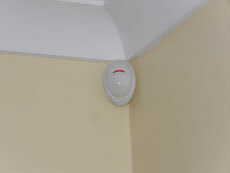 We can also advise on security alarms. An experienced engineer will meet with you at a convenient time to assess your requirements. 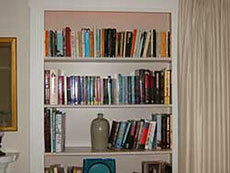 A detailed written quotation will then be forwarded to you for your approval. From the moment Facelift came to quote I knew I was in excellent professional hands. 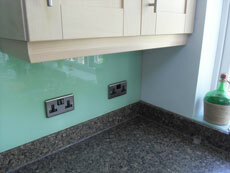 The team were so thorough and thought of absolutely everything that might be needed or wanted. I massively appreciate this as my Grade II property has been very complex – with conservation officials, planners and BCOs crawling all over it, often issuing countermanding orders, resulting in knock-on delays with progress. In some cases all the problems forced Facelift to repeatedly go over ground already covered. Despite this, Facelift always kept to their word and their commitment, something I massively appreciate. The team discovered many problems – including the fuseboard recently installed by someone else, and a newish gas meter not being electrically bonded (very dangerous) – and worked incredibly hard to put things right for me. 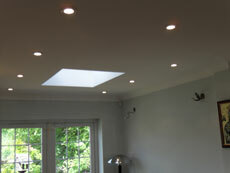 And when the team reviewed their kitchen lighting design, they even installed extra spotlights at no extra cost, which was a lovely thing to do. 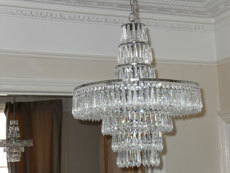 More than that, the fittings they chose are high quality and classy, so the old place looks really upmarket now. Facelift have done their utmost for me – in the teeth of my sometimes extreme stress, and I can’t thank them enough. Facelift were recommended to me, I can wholeheartedly recommend them to you. Facelift were excellent, not only did they do a great job but treated my 80-something parents fantastically, ensuring they were as unsettled as possible. They updated me frequently with what was happening and also helped sort out a problem with my parents’ energy supplier. They are a credit to the Company and the industry. I would happily recommend them. I found FACELIFT on “TrustaTrader”. Their expertise and professionalism instilled me with confidence from the start. Their ideas and suggestions were invaluable. I had my house completely rewired inside and out and it looks fantastic. I really didn’t expect the results to be so good and the process to be so painless. I am so grateful to the chief Engineer and his team for turning up ‘on time every time’ and keeping me informed every step of the way. There were also no shocking “added extras” you so often get hit with. 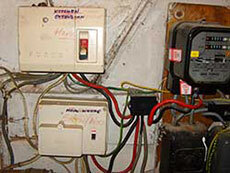 I will, and have, recommended Facelift to any needing electrical work. Thank you. I wanted to write and express my gratitude to the team at Facelift Electrical Services for the exceptional level of work that they delivered on my flat recently. Not only were they prompt and got started within days for a job that they knew to be messy and frankly, full of difficulty, but they were the epitomy of reliability, friendly service and thoroughness. I especially appreciate the high level of personal thought that they put into making sure that they left me with as little aesthetic repairs to deal with after the job was done, as possible. I have no hesitation in recommending Facelift Electrical Services to anyone who is looking for reliable, friendly and wholly trustworthy electrical works. 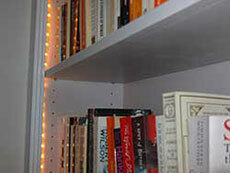 This is a decorative feature for cabinets/bookcases etc, using spotlights or rope lighting. 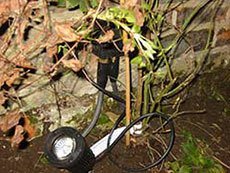 We also install mains operated, low voltage and LED lighting. Facelift Electrical works with bespoke cabinet makers to give you a totally individual and personal look to your lounge, study, office, etc. We can also install your lighting system to work via remote control system which will give you the facility to program your lighting. 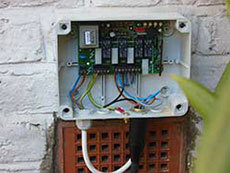 This system is known as the Wise Box, which is a wireless system. 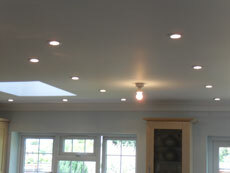 What a pleasure it was to discover Facelift Electrical Services, I cannot rate them highly enough. 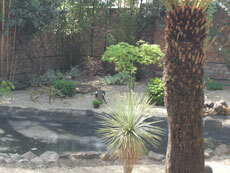 As well as being fully qualified to the highest standards, they are punctual, polite and tidy. They have full office back-up which gives written quotations promptly, keeps in touch by phone to check the job is going well, lets you know if they are running late, and invoices efficiently. 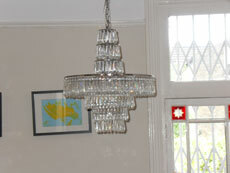 They did a great job for a good price, but what a pleasure it was to deal with electricians who are knowledgeable. Then they even call again to make sure you are completely happy with their work. It really does make a difference, and I would urge people to use this very amiable family business. We carry out electrical testing to domestic homes and commercial properties and have over 28 years of practical experience in the business. As an NICEIC APPROVED CONTRACTOR we are certified to carry out Periodic Inspection Testing (Electrical Condition Reports) in domestic and commercial premises. Facelift has seen an increase in the number of new landlords requesting “safety certificates” known as Periodic Inspection Reports, or Electrical Condition Reports. Our reports give an in-depth inspection of the current standard of the electrical installation, and are increasingly demanded by letting agents and places used by the general public. 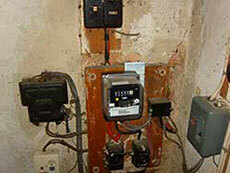 An up to date Periodic Inspection Report (Electrical Condition Report) is an Electrical Requirement. 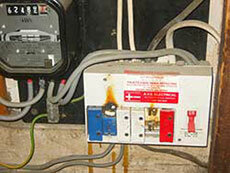 As a landlord, you have a duty of care to ensure that the electrical installation of the property being used is safe. The Landlord and Tenants Act 1985 requires that the electrical installation in a rented property is: “Safe when a tenancy begins” and “maintained in a safe condition throughout the tenancy”. As a commercial enterprise or an organisation with premises being used by members of the public, you have a duty of care to ensure that the electrical installation of the property being used is safe. It is a Requirement to have an up-to-date Periodic Inspection Report/Electrical Condition Report for the provision of Public Liability Insurance. This is a document that your insurance company will require you to provide. Testing will be carried out to check that your installation is safe and meets British Standards Wiring Regulations, currently BS7671:2008. Homeowners are being advised to increase security and check their insurance cover is sufficient after a big rise in burglaries. One big insurance company has stated that “Households have become more wealthy over the past decade and that means there are more valuable possessions out there to tempt the burglar”. 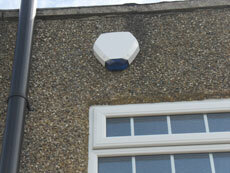 Some insurance companies will even offer discounts for fitting an approved alarm system. 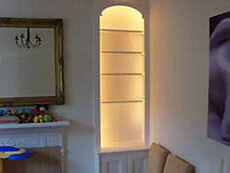 It is a sad fact, that many of our clients come to us AFTER they have been burgled. 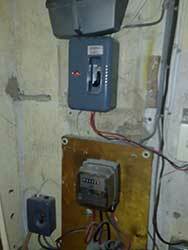 Facelift Electrical Services installs state-of-the-art security systems for domestic and commercial premises. Our systems conform to new European Standard EN50131. 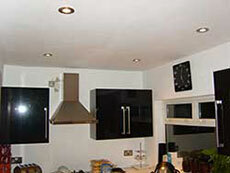 Our installer will go through an extensive risk assessment procedure with you. 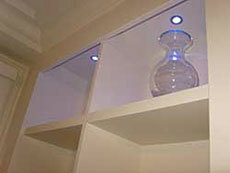 The systems we provide are tailored to our customer’s specifications and can be as simple or as advanced as you wish. 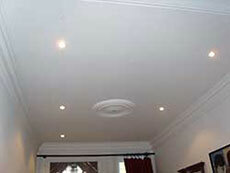 In keeping with technological, advances we offer wireless systems as well as hardwired systems. 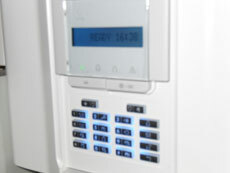 A typical alarm system for a 3-4 bedroom dwelling will include the appropriate number of magnetic door contacts, PIRs etc (Passive Infra-red sensors) and will incorporate a dial up system if the alarm was ever activated. Our installations incur a one-off installation cost, which will save you money over the long term, as with some other installations you will also have to pay a monthly subscription/ monitoring cost. 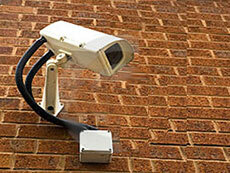 We also offer CCTV security systems for domestic and commercial premises. 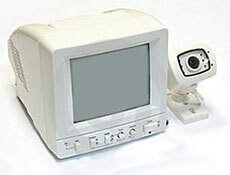 From a single camera to multi-camera systems, with colour or black and white monitors, the choice is yours. 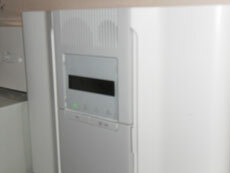 These systems can be installed separately, or in conjunction with our door entry systems. 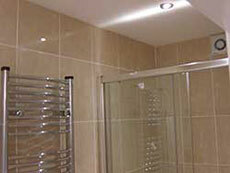 Please call our office for more information or to book your free quotation visit. 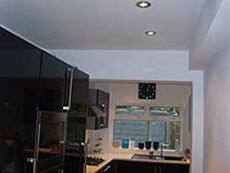 We cover a 10 mile radius for emergency call outs to domestic as well as commercial properties. As a conscientious landlord it’s very important to have reliable tradesmen with the right credentials, expertise and the right attitude. 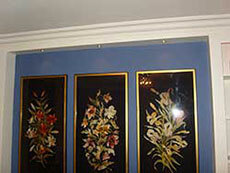 I have used Facelift Electrical Services over the past 2 years and have always found the service first class. 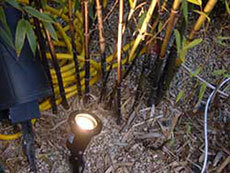 I have used them for emergency call outs as well as routine electrical maintenance work. The response time has always been exceptional. They tick all the boxes. 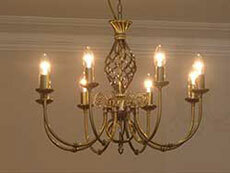 I have used many professional services, but Facelift Electrical is by far the best. I have used them repeatedly and highly recommend them.